When I first doodled a picture of a blue mushroom and put it through Photoshop to digitalise and colour it, I didn’t really have any particular purpose for it. It was just a good excuse to play with my favourite Photoshop watercolour brushes. 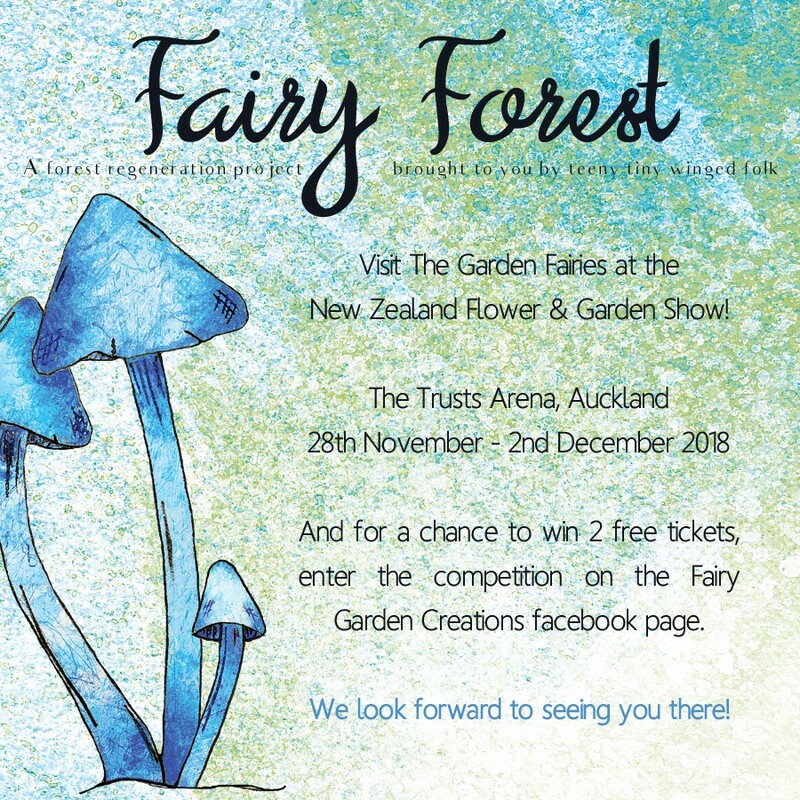 But when Kelly of The Garden Fairies approached me to create the flyers and signage for her entry into the 2018 NZ Flower & Garden Show, my cluster of blue mushrooms soon wound up with a purpose! 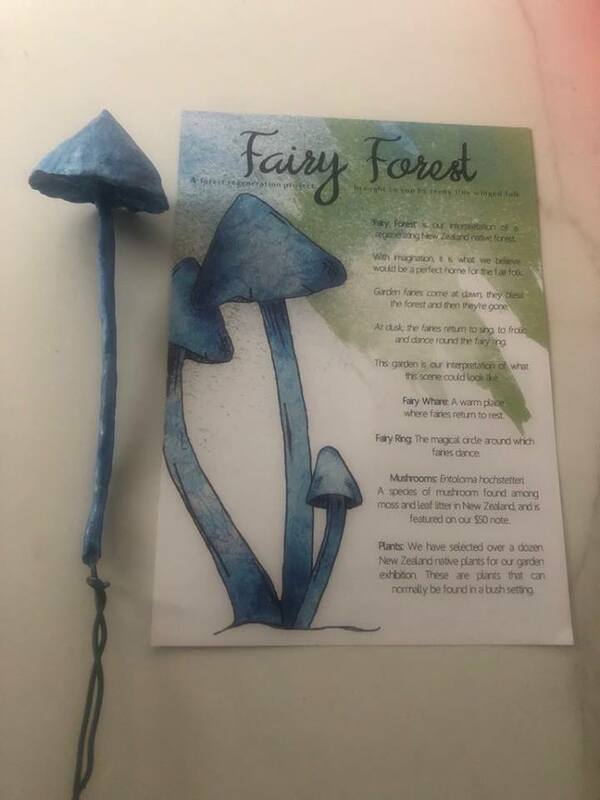 It turned out these blue mushrooms (aka Entoloma hochstetteri) were, in fact, to be one of the features of her exhibition. 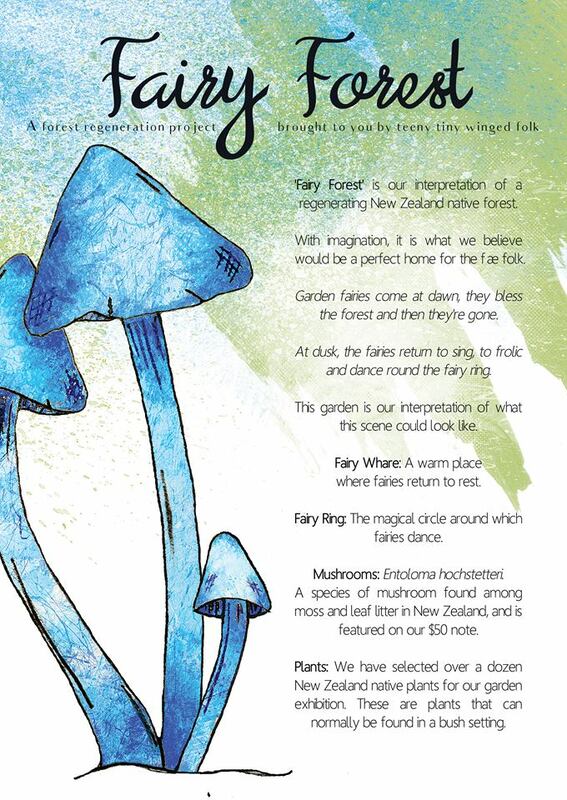 Alongside delicately winged fairies, and a forest of NZ native plants! 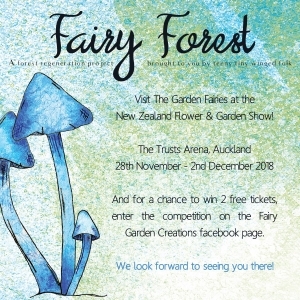 I also put together the social media graphics for a related competition held by Garden Fairy Creations/The Garden Fairies’ facebook pages. Unless I’m sketching out a rough concept, my drawings are rarely put down on paper; instead, they’re usually created with the pen tool in Photoshop to produce a vector image that can be rescaled to any size. Thus it was definitely a highlight to use hand-drawn illustration in this project.